❓ Completed – Now What? 🤳 Is your couch photogenic and is your kitchen ready for a selfie? As we continue to wonder we realize that there may be an easy out. Opendoor, Offerpad, and now Zillow, all make the sales process easier than ever. But….. why? That is the question. And if you follow the money the answer will appear like a Las Vegas neon flashing sign. Sometimes these companies are disguised as good Samaritans. The truth is that they are rubbing their hands in glee because you are going to hand them the keys to your equity. If that were not the case they would not be offering quick cash for your pad. And if you really knew the numbers you would never open the door to let these robbers ransack your wallet. How and Why do we Fall Prey to This? It’s because deep down we know that to pull off “flip my house” a successful flip is very risky for someone who has not got experience. Perhaps we don’t know how to go about budgeting & financing the improvements and oversee a project from start to finish. Maybe it’s because we don’t have the energy to see it through. Maybe they think they have to be in the flipping biz to pull this off. Then again, the allure of a quick cash purchase sounds so simple. After all, doesn’t it seem attractive to think that you can press a button and get an offer on your home? 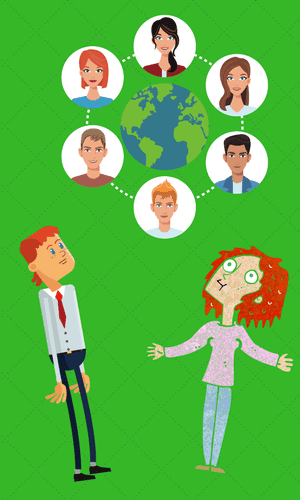 Isn’t it comforting to imagine that you can ditch the hassle of the selling process? It actually sounds like it could be one of the best experiences of your real estate dealings. It all starts with a simple click, then you move on. They say you will get a competitive offer, but have you got the expertise to scrutinize the details? Probably not if you don’t do this for a living. Chances are that you are leaving thousands on the table. There are probably fees you may not recognize as being out of whack. You may be surprised when the inspections are done. You might be spared from having buyers walking through your property, but what about all of their carpenters, electricians, plumbers, and specialty contractors going through your home looking for things to justify a price reduction? It doesn’t have to be this way. There are far better options for you. Options that put those flipping profits in your pocket instead of one of those equity snatching companies. You may be surprised at what a kitchen remodel or bathroom rehab can do for your bottom line. Add a new paint job and flooring and the house will look as if it is drinking from the fountain of youth. Now, how do you go about developing the right plan? Watch the video to learn how the flip my house concept is a way for you to sell your house for a lot more cash than one of those “investors” is willing to offer you. What would you think if I told you that you can flip your own house? What if there was a flipping plan that puts you in the driver’s seat? What if you can get guidance and help to complete the goal successfully? What if you knew for a fact that you could have professionals helping you every step of the way? What if you had a team of contractors and professionals you can trust? If those questions are opening your imagination then we can help. Your house flipping days are bright and tangible. Increasing your hard-earned equity is a very realistic idea. So, if you are still saying that I want to “flip my house” to your friends read on. Realizing a more significant profit from your house can be done. If you are ready to learn more call us at 1-480-442-3501. 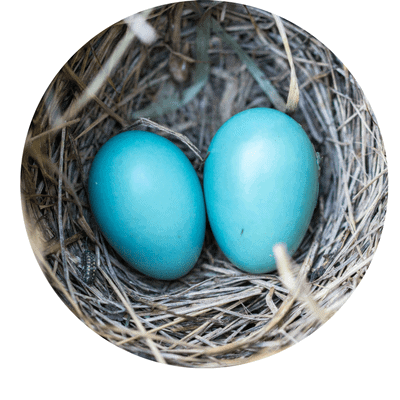 Lets talk about protecting and growing your nest egg. this is just a starting point. Do NOT rely on this number for pricing. In order to calculate full market value everything related to your property needs to be taken into account. When I visit your home you and I will go over all of the details. Any improvements or lack thereof will be weighed out as part of the pricing conversation. Finally, the system that allows YOU to keep the profits instead of handing some greedy investor the keys to your kingdom and equity. If you have a desire to flip my house we can help. You don’t need to be experienced. You don’t need a lot of money. 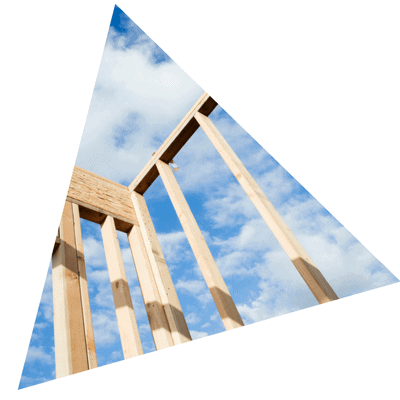 We will help you fund your project, access contractors, and get the job lined out so that things go smoothly. It’s not that hard to do if you have the right team members at your side. Why sell your house to a company who will flip it for their profit? It’s your house. It’s your equity. You keep it. Work with us and you will. We specialize in helping people multiply the dollars that their home will bring on the market. The sensationalization of flipping homes has all but reinvigorated the confidence of every homeowner, while confirming their decision to close on such a large investment. You’ve seen the real estate market dip, dive and rise like an unending mountain range, but how do you take advantage of a trend that has reached such mass hysteria that is has influenced multiple television shows? As a new or long-time homeowner, where do you begin? Fret not, if you’d like to flip your house and getting a return on your investment is as simple as creating a long-term plan for renovations that can contribute to your chances of a successful flip when you’re ready to list. When you make the decision and announce “I want to flip my house” planning is the most important step. In a perfect world, your home renovations would incorporate an hour of interior design jokes, sledgehammer montages, and a tense reveal. In the real world, there are ways you can obtain the overall design aesthetic by implementing improvements over the course of a few years. These improvements will not only help your bottom line financially but will provide you with the confidence to flip my house should you chose to in the future. Scheduling a consultation with a tentative plan to sell allows you to realize your dream of a return on a large investment while taking the time to cultivate an experience without stress. Do you have a specific timeline that you’d like to adhere to? Have you considered the potential contractors that you’d like to hire as part of the renovation process? Do you have a sound financial plan for funding the project that is set in accordance with the projected schedule of your renovation? Wouldn’t you love to speak to someone with prior knowledge of the process of flipping houses for free? In relation to the last question, how can you say no? Creating a solid list of actionable items and understanding your financial stance are key factors in being able to facilitate the flip that you want. Luckily, you’re able to contact someone today to set up an appointment to bridge the gap between your concept for a long-term plan to flip your house while being able to cash out on your investment. With a solid plan in place your wife might actually go along for the ride when you tell her “honey, I want to flip my house”. Before you consider placing your home on the market with the expectation of a return on what you paid for it at purchase, consider researching the current market for an idea of your home value. Researching the value of your home based on your neighborhood is a good parameter to start your journey because it gives you an idea of what your home value is based on the compared prices of the recently sold homes in your area. A professional REALTOR working in tandem with a personal project coordinator and contractor can give you a more direct quote after a detailed evaluation, but you want to simply do this homework to satisfy a personal perspective of what improvements you may need to make. Did the home up the street with the same layout sell for $100,000 more because of a patio or addition? How did your former neighbor lose over $60,000 in profit when her flower bed outshines everyone in the cul-de-sac every spring? The composition of a detailed list of actionable items will help you understand the potential upgrades that will help your home’s value appreciate. Wouldn’t you love to know the current value of your home and how measures up as is? Would an addition to the home create the “wow” factor to take you to the next level? Take note of some of the upgrades possible in your area to give you an idea of what you may want to change to get more bang for your buck. After giving out a chance to speak with a professional REALTOR, contractor and project coordinator, the looming question becomes where do you begin in the flip my house proceess? Creating a long-term plan to flip your house often entails receiving potential estimates for the work discussed during the property evaluation. Working with the project would be there allows you to discuss all means of funding and to determine the equity in the home which can be used to fund the renovations. If you are planning to upgrade aspects of your home to influence a successful flip, you must start with one of the top three rooms that sell a home: the kitchen. Have you stared at that dull countertop for years, but you didn’t know what you wanted to do with it? Have you saved idea options from magazines about the general decorative direction you’d like to go in? Realize that it is all achievable. When doing a long-term renovation, you have the time to peruse the vast selection of granite countertops and compare them to their famed marble counterparts. The quality of products and materials used in a flip show through when you finally decide to sell, so choose wisely. Most trusted contractors can offer a plethora of samples of stone variations with different patterns to help you achieve the look your seeking. Consider selecting the countertop first then working your way to cabinetry color selection, matching backsplashes, wall color selection and flooring. Taking on the kitchen with a trusted contractor over the course of a few months will allow you to absorb the change in the design of the room and may set the tone for how you want to decorate the rest of the home. Small upgrades like a window seat, built-in island, and upgraded appliances always add that extra zest when cultivating the kitchen design. When you are selecting your overall design consider small touches like matching cabinet knobs, crown molding and cabinet lighting. Create the kitchen with the concept of what you would expect for a vacation rental or what you would impress you if you were purchasing the home. It always starts as a weekend project to add a new species of flowers to your garden bed to enjoy the buds of nature based on season, but it always seems to get put off. The first impression of a home is not just the exterior of the home, but the condition of the frontal foliage leading up to your door. If you are thinking of tackling the front and backyard, consider adding solar lights, repaving your driveway, and the possibility of an addition in the form of a patio. Creating welcoming walkway to the door can be achieved with strategic lighting and a dynamic yet neutral lining planter. You want to build anticipation for the interior, but it’s important to realize the backyard is an extension of the home too. Create a backyard oasis by upgrading your current patio with a change in brick, creation of a deck or incorporation of a pond. Landscape contractors often provide a full estimate that would also include the reseeding of your front and backyard to give your home healthy lush green grass. 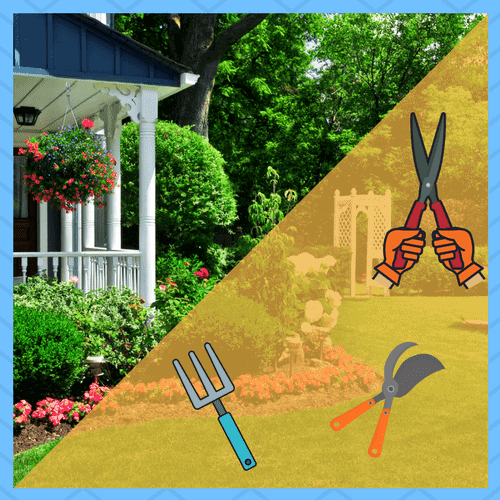 Speak with a landscape professional about the different genes of flowers that can grow during your renovation that will give off the appeal that they were planted since the construction of the home. Long-term renovations provide the advantage of allowing the additions, such as plants, to settle providing a cohesive look overall. It is heralded as the epicenter of relaxation and possibly one of the key rooms that can make or break a flip. Renovating the bathrooms in your home can change the dynamic of the entire home. Would your bathroom take on a whole new life if you added that claw foot bathtub? 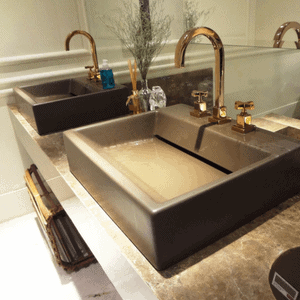 Have you considered creating a space that has his and her vanities? If your thoughts are to create a space that emphasizes relaxation and space, consider incorporating changes to include closets, separate vanities, bathtub/shower upgrades or a complete redesign. The beauty of working on a renovation one step at a time is the ability to work with a contractor that can indulge in your overall vision for space while providing you with model recommendations that will return the investments made in the space. One of the first things you notice about someone flipping homes is the one of a kind customization that is incorporated that seem to support the sense of authenticity. Consider following suit and commission the creation of sink bowls for the bathrooms that match the marbling on the vanity countertops. 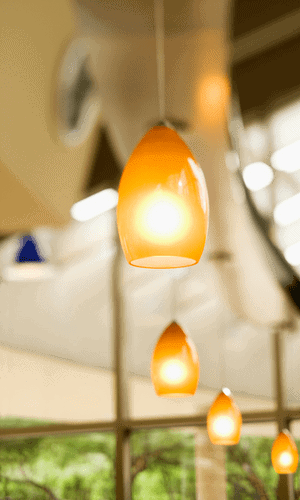 Have you thought about a light fixture that you’ve seen in a magazine, but you want the item in a specialty color? Consider budgeting for the cost of the color variation or work with a trusted contractor to take advantage of deals on products that aren’t offered directly to the public. The key to creating the “wow” factor in a home is to showcase the home in a way the potential homeowner can see themselves living there but cultivates a sense of culture through style. Long-term renovations allow you the time to have the pieces created to your specification and installed by a professional. Did you always want to add that office to the downstairs, but you didn’t think you could? The research of your local real estate market at the beginning of this process allowed you the insight into the true value of additions and how they pay off. There are different variations of an addition to your home that can pay off in the long run that you can consider seeing a return on your investment. Popular additions to the home may incorporate the expansion of a floor plan to suit a closed in the seating area to the backyard, office space designed complete with custom book shelving, adding a bathroom or adding an additional bedroom. No matter your decision in which addition you’d like to add to your space, go over a list of features you’d like to obtain for the room specifically for the determined functionality. During the staging process, you want the ability to showcase these additional features to set your house apart from the other homes on the market. You can count it as the stepping stone to a successful flip, but flooring is an important aspect of creating a cohesive home design. The options for the flooring have upgraded by leaps and bounds with the incorporation of non-conventional materials like bamboo and resin designs. Can’t find that perfect shade of gray in the tile you’ve viewed at your local home improvement store, but you have an idea of what you want for the room? 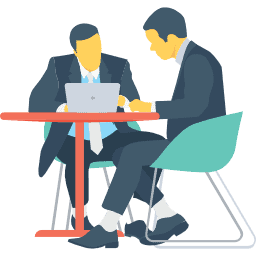 Your trusted contract professional will be able to provide you with the necessary steps and options that will adhere to an unyielding schedule with the best result. The suggested renovations couple if the litany of repairs provided in your plan of action with the contractor will give you a good scope of the work that needs to be done. Before it seems all so overwhelming consider the team you have backing you throughout this process. The estimates will incorporate the cost of supplies, work hours, and permits all while sticking to the schedule agreed-upon during the evaluation process. Since you have taken the formal steps up to this point to flip your house with a lengthy your schedule, you’re able to take advantage of spreading the renovations out throughout a designated time to avoid everything becoming overwhelming. Once you’ve approved the estimates for the tentative renovations, OK’d the work schedule and worked closely with your project coordinator to secure funding now the fun begins. If you have secured funding by placing the deed on the home or have sought other funding sources in collaboration with your project coordinator, you have an ironclad game plan that protects you as a homeowner financially. 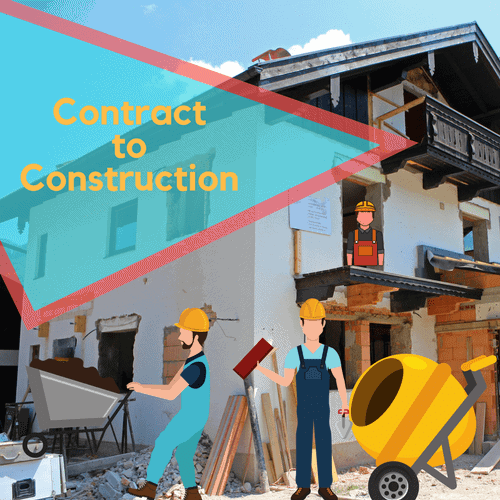 Reviewing and signing the required contracts to begin the renovation process can be a De Ja Vu of excitement reminiscent of signing the closing papers during the purchase of your home. Consider the experience the same since you are breathing new life into the home by adjusting features that will ultimately return your investment. Your team of Realtors, contractors and project coordinators work in tandem to ensure your vision is being realized while working within the scope of time you’ve set forth. Did you schedule for the kitchen to be completed by the holidays to have one last toast over your brand-new countertops? Did you receive the progress report on the budget for the project after you received a courtesy call to remind you of the upcoming renovation to the bathroom from your project coordinator and the contractor? Do you feel confident in the completion of this project knowing that you have experienced professionals easing the stress of the entire process? Will this make you consider flipping your house with the same team due to the sense of professionalism presented? Do you enjoy realizing the impact that this vision will bring and how it will impact you, the team, and all of the people connected to the project? Solidifying the parameters of your expectation in a contract allows all parties a chance to outline their roles and abilities while adhering to the goals outlined in the plan that you help to originate. So, you’ve done it. You went from the thought of “I should flip my house” to actually doing it! Over the course of construction, you can look for to dynamic changes not just to the exterior interior but to the overall vision of the home. Since you have chosen to ultimately sell your house after the construction has been completed you can look forward to working with your team to ensure the sale goes smoothly. 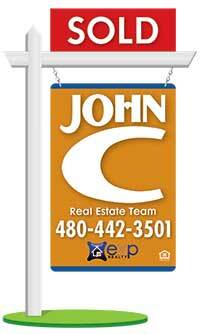 Working with an experienced REALTOR®, you receive the bounty of their experience and expertise. Our agent professional will do a detailed property evaluation, much like the evaluation from the start of the process, to give you a scope of escalation in value because of the renovation. Here’s a link to our calendar to schedule a visit. Following the evaluation, your liaison to the wonderful world of real estate will assist you in staging the home and taking photos for advertisement. During the contract and consultation process, you’ve set up a specific date that you would like to have the home listed. The real estate professional will work tirelessly to ensure that the expedited sale meets your financial expectations and the parameters of securing the finance are required to repay the equity in the home. Your estate agent will work with you to determine the best positioning of furniture, provide you with an overview of what to expect during the process, and provide you with a few tips to ensure the presentation of the home receives the attention needed to make the sale. We may even suggest the help from a home stager. You’ll be able to set up days for potential walkthroughs of the home, allowing you to schedule around your personal engagements. Once your real estate professional has received an offer on the home, you’ll be notified and asked if the price is acceptable based on the provisions down to the home. Keep in mind, the goal of each professional on your team throughout the duration of this process has been to ensure that you get the most out of your investment. Once an offer is accepted, you’ll be able to sit back and take a deep breath as you can choose to work with the same professional to find your new home. If you developed a penchant for flipping homes after you are able to sell your house, you walk away with the experience of working with a professional team motivated to meet your needs. Flipping houses exceeds the time span of an hour unlike you may see on TV. Flipping your house for profit, while doing so at a gradual pace allows you the flexibility and peace of mind that the process is being done correctly. Consider whom you’d like to have on your team. Having top-notch team members makes for a better bottom line and smoother operation overall. Accurate home evaluations reflect an outline of true value based on the competitive market, securing estimates for renovations lobbied by seasoned professionals, providing an outline of financial alternatives, setting up a project schedule that satisfies all parties, and works with you to ensure your satisfaction by meeting all the requirements set forth. Flipping houses can be a rewarding and profitable venture. Give me a call and let’s begin the conversation 1-480-442-3501. When you know it’s time to sell you house make sure to take all of your money with you when you go. 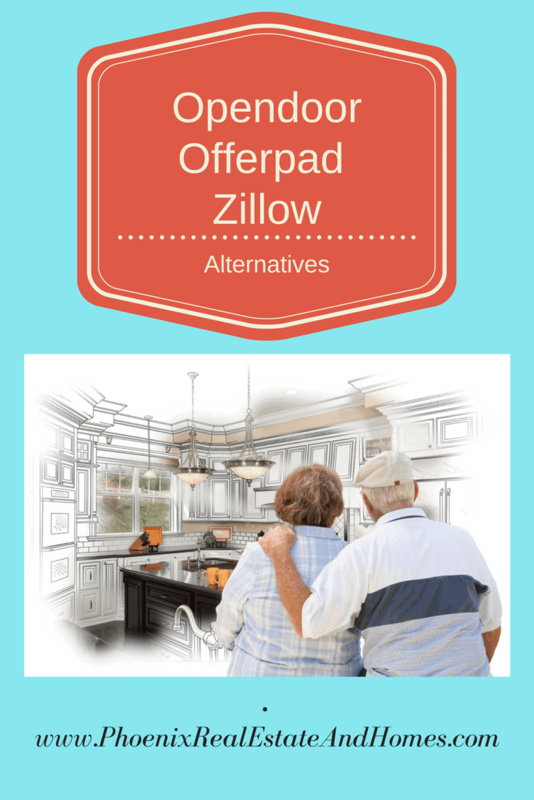 Don’t leave it behind for Zillow, Offerpad, or Opendoor. With the right team you can do this. Give us a call today. Let’s get a look at your home and figure out how we can put a few thousand extra dollars in your pocket before you move on. You can reach us at 1-480-442-3501. 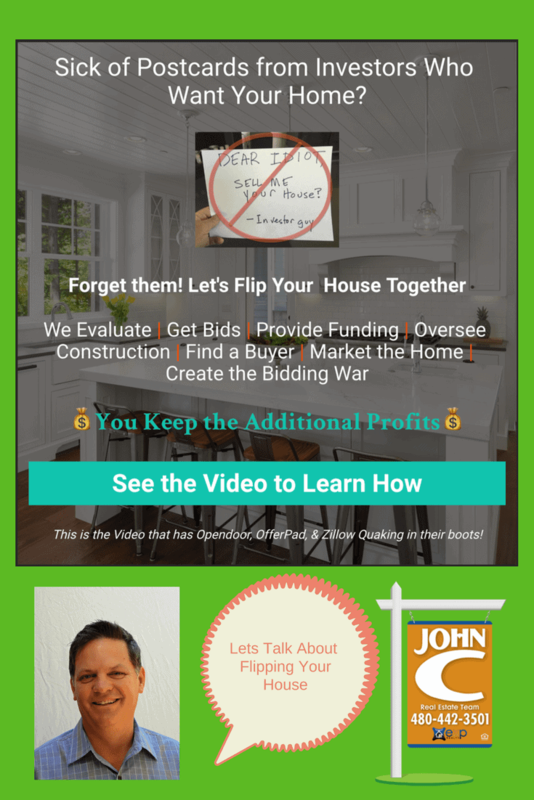 This is the Video that has Opendoor, OfferPad, & Zillow Quaking in their boots!